In many communities, bookstores act as a literary hub, creating a place for writers, editors, publishers, and their readers to come together. Some of these locations have even impacted literary history and the works we consider canonical today. That’s why we’re taking a trip back in time to five famous bookstores with some history of their own. You’ve got a manuscript, and you’ve got questions about what to do next. Book a consultation with JEC’s editor-in-chief, Kate, to see how a professional developmental editor can help you improve your work and get you on the publishing path. Established in 1953 by Peter D. Martin and the poet Lawrence Ferlinghetti, City Lights Bookstore remains an institution in the San Francisco area. In 1955, Ferlinghetti began City Lights Publishers, which was most recognized for the controversial publication of Allen Ginsberg’s famous collection of poetry, Howl and Other Poems. The publication resulted in a municipal court trial, where Ferlinghetti was tried on the charge of selling obscene material. Eventually, the judge ruled in favor of Ginsberg’s collection, setting a new publishing precedent. City Lights Publishing went on to publish work by Frank O’Hara, Noam Chomsky, and many others, and the storefront that started it all is still there today. 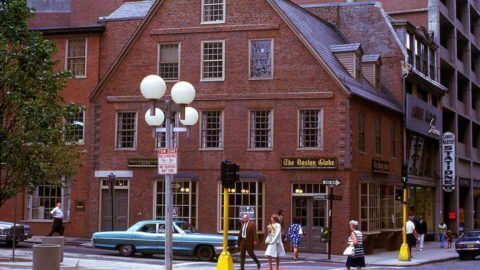 The Old Corner Bookstore in Boston houses quite the unique history—first as a home to Anne Hutchinson, a Puritan midwife who was famously banished from the colony for religious heresy, then as an apothecary. It wasn’t until 1832 that the publishing company—eventually named Ticknor and Fields, after its primary operators, James Thomas Fields and William Davis Ticknor—opened its door. The two men worked out of Old Corner Bookstore, which became a hub for writers such as Nathaniel Hawthorne, Ralph Waldo Emerson, and Charles Dickens. Ticknor and Fields are still recognized as one of the most influential publishers and store owners in American literary history. 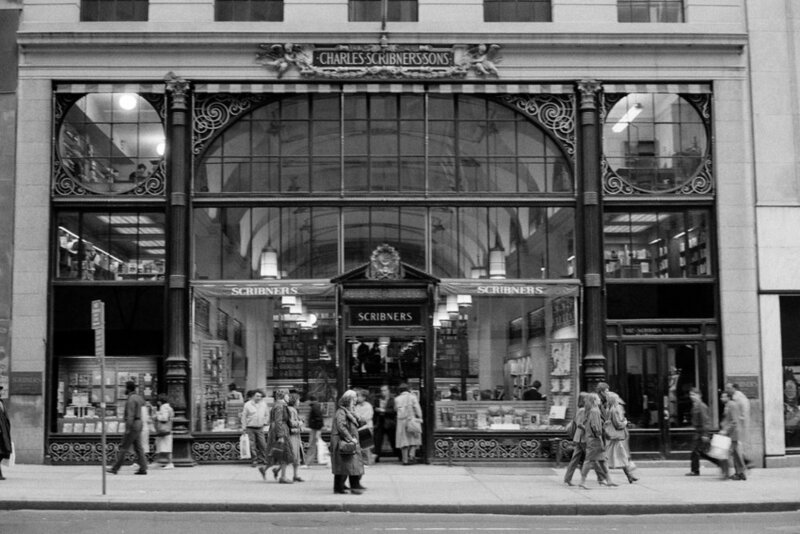 Scribner’s Bookstore, the retail front for Charles Scribner’s Sons Publishing, opened in 1913, becoming a large hub for writers on the East Coast. Throughout its lifetime, the Scribner family published works by Edith Wharton, Ernest Hemingway, Marjorie Kinnan Rawlings, and Thomas Wolfe. Though the family eventually merged with Macmillan Publishers in 1984 and sold the bookstore the same year, the building and the Scribner’s family legacy remains a notable contribution to twentieth-century literature. 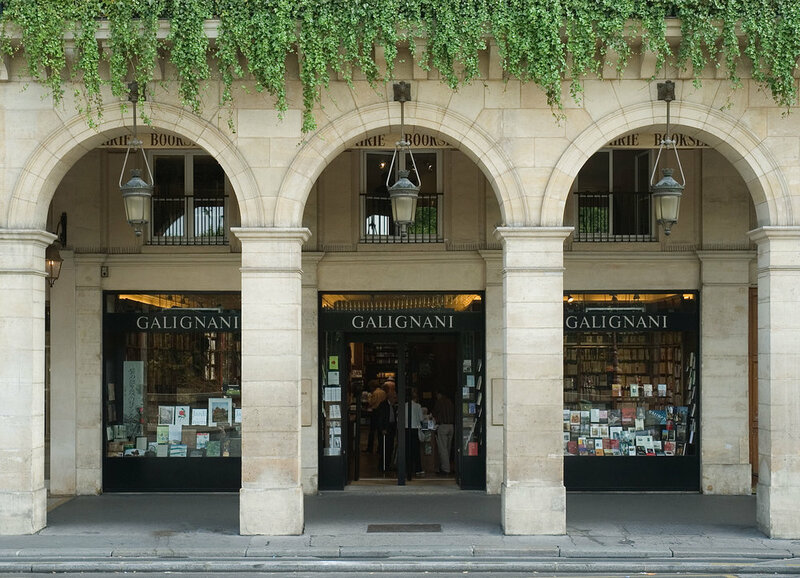 Librairie Galignani, or simply Galignani, was a notable addition to the literary scene in Paris as the first English-language bookshop on the continent with its opening in 1801. The bookstore became synonymous with British and American writers visiting Paris, creating integral ties between English literature and the rest of Europe. The bookstore’s creator and namesake, Giovanni Antonio Galignani, also opened a press called that published editions of notable nineteenth-century novels and a monthly newspaper called Galignani’s Messenger. Owned today by the direct descendents of Galignani’s nephew, Librairie Galignani continues to serve the readers of Paris. Ready to have your own work published and your literary dreams realized? Check out our Publishing Guidebook to see how JEC can help you find your voice and free your story.